Studies show that, by 2020, Millennials will make up 50 percent of the global workforce—and that, also by 2020, 50 percent of all U.S. employees will work remotely, experts told attendees at the Telecommuting, Remote and Distributed (TRaD) Works Forum, held in Washington, D.C., on June 9-10. And since many Millennials now ask about telecommuting options during job interviews, employers are paying greater attention. According to a 2015 study from FlexJobs and WorldatWork, only 37 percent of 379 HR professionals worldwide surveyed say their organizations have policies that support work flexibility options, which include working remotely, working a flexible schedule and part-time work arrangements. Conference speakers shared their experiences, plus some tips to keep communication flowing between onsite and remote workers. The ability to deploy communication tools like Slack, Google Hangouts and Skype from smartphones have enabled a number of companies to allow their employees to work remotely. Other employers have been making the most of remote work for awhile now. Interns at the U.S. State Department’s Virtual Student Foreign Service program have been working virtually for about six years, said Asha Beh, social media specialist and analyst for the program. “The virtual internship is a remote-only internship, and all interns work up to 10 hours a week,” Beh said. “We’ve had people working from all parts of the world” on unclassified projects in 30 different federal agencies throughout the U.S. government. Supervisors connect with the remote interns via Skype, e-mail and the telephone. “Some people may feel it’s a miracle that it works, but it actually works,” Beh said. “Just last year we had over 500 students working on projects.” The program began with 44 students in 2010. At many organizations, supervisors are hesitant to trust employees to do their jobs remotely. “We’re still figuring [workplace flexibility] out,” said Peter Yobo, a consultant with PricewaterhouseCoopers, one of the four biggest international accountancy firms in the country. Yobo said one of his toughest hurdles is trying to convince clients that employees who have flexible schedules are still doing work—even when they’re not in the office or working 9-5. They’re not “working less or producing less; they’re just working differently,” he said. Employers need to make sure employees are producing desired results. Ask yourself if the work is getting done, he said. However, a change in both policy and culture will be required, he added. 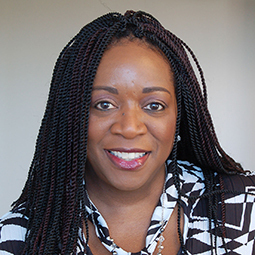 Sacha Connor, director of marketing for Oakland, Calif. -based The Clorox Company, works remotely from Pennsylvania. Several years ago, she became one of the first leaders within the company which makes cleaning products to work remotely when she moved from California to Pennsylvania to be closer to family. As the founder and leader of a virtual employee resource group within Clorox, she said getting others at the company to embrace telework has been her “passion project,” and that her own foray into telework helped pave the way for others to work remotely as well.